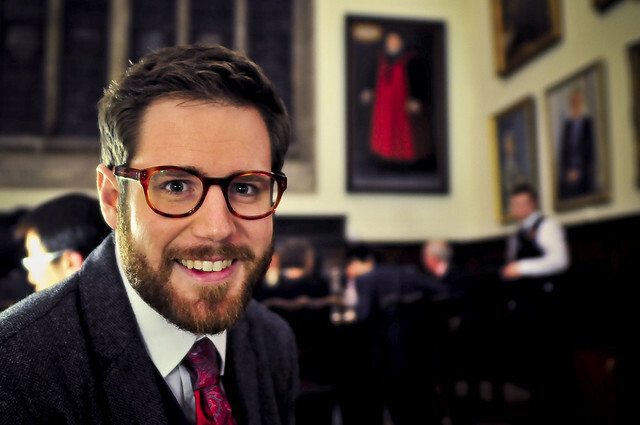 "The formal halls and dinners are Oxford institutions, as venerable as the Rad Cam, evensong or G&D’s. Some colleges take it very seriously, holding a formal hall every night and requiring those desirous to attend to do so in gown and appropriate attire. Other colleges, like Wadham, have done away with the ‘formal’ hall on all but special occasions. Some are notorius for great settings, but horrid food—that’s right Christ Church, I’m looking at you—others for their Michelin starred chef and copius portions, Worcester students are forever indebted to Lord Sainsbury, and still others, like Univ, for their pomp and circumstance, down to an intermidably long Latin prayer which seems to border on inquisition. Some formals are so well regarded, it behoves one to cultivate a friendship with members of that college for the sole purpose of exploitation (any Worcester-ites out there?). 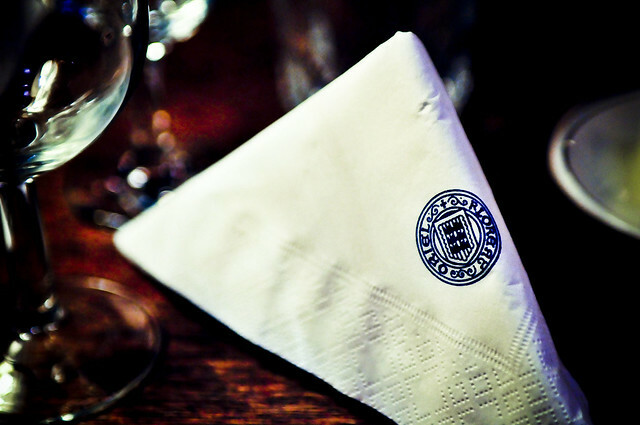 Either way, getting overdressd to eat nice food and drink on your friends tab is an integral part of the Oxford experiance. My formal hall experiance is actually quite limited having only dined at Exeter College, University College, Christ Church College, Wadham College, Oriel College, and St. Cross College. Each has their own quirky perks. Oriel is always a decadent affair, although that may have more to do with the company I keep than the hall itself, and St. Cross was light, comfortable, and delicious, completely without pretense. Univ makes one feel the solemn weight of being the oldest college, while the couterpoint between Wadham’s statlely hall and our gown free counter-culture vibe makes for an interesting contrast. Christ Church was memorable for the sparkling company and jaw dropping atmosphere—the Buttery has to be the most atmospheric college bar—and the bland food, and Exeter for the lovely grounds providing a wonderful post meal stroll. Food and atmosphere aside, conversation makes or breaks a hall. We too seldom, especially in America, experiance enforced community. At hall you sit on long benches with everyone, not at an isolated table of just your friends. Drink, salad, vegatables and condiments are communal and passed around, like at home, and the long meal provides ample time to chat, catch up, flirt, or talk shop. While many Oxford memories will linger long in my memory, among the fondest will be moments from these myriad dinners, such as Jameson and I inventing a new philosophical term over pudding: Obtizzle, i.e. something which is both possible and awesome. Such as formal hall, in Oxford."